Forget Your Stress at Massage Therapy of Concord! Take some time out of your busy life and treat yourself to a massage. When you leave you will feel relaxed and rejuvenated. I offer different modalities that will help improve and maintain your well-being. Look over the menu to see which massage treatment you would like to reserve and Call 704-305-1074 to schedule an appointment! All sessions are priced based on the length of time scheduled. Your massage and pressure are customized based on your needs. Prepare for pampering as your worries and stresses are massaged away. Swedish massage techniques will be used, as well as joint movements and gentle stretching techniques if needed. A full body massage with light to firm pressure, intended to relax the body and mind, increase circulation, boost immunity and calm the central nervous system. Not intended to address specific areas of complaint. A Deep Tissue massage may be more intense than a relaxation massage. Because of the focus on specific areas, deep tissue massage may cause some soreness during or after. A massage designed to release constricted areas in muscle by alleviating the source of pain with deep pressure. (For example, you may choose 'back and neck only' or 'low back and hips only'.) Because of the focus on specific areas, this massage may cause some soreness during or after. If you have never experienced this unique indulgence, you owe yourself this exquisite moment! 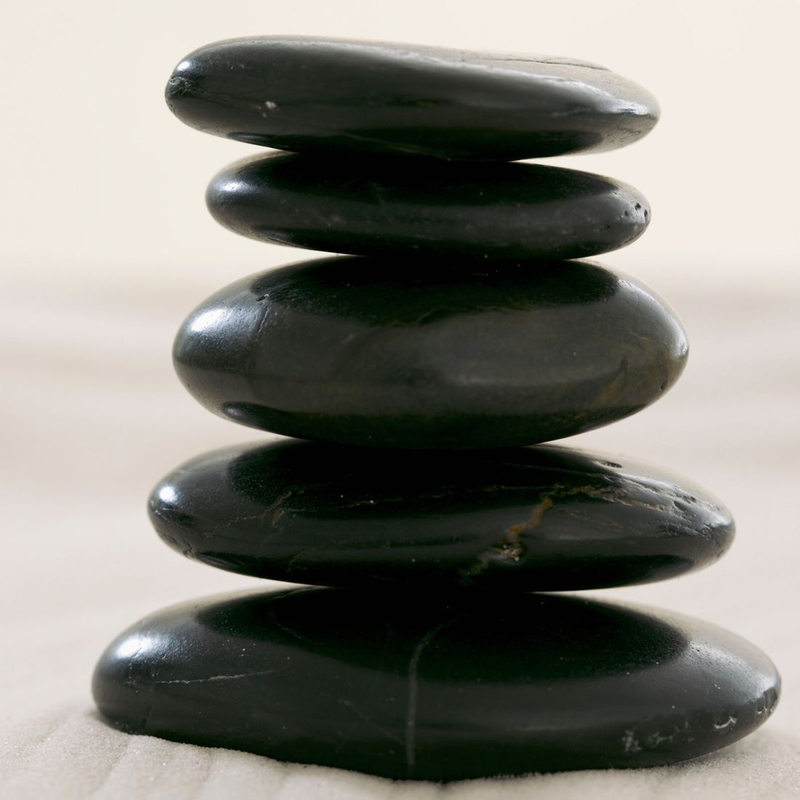 Hot Stone Therapy melts away tension, eases muscle stiffness, and increases metabolism and circulation. 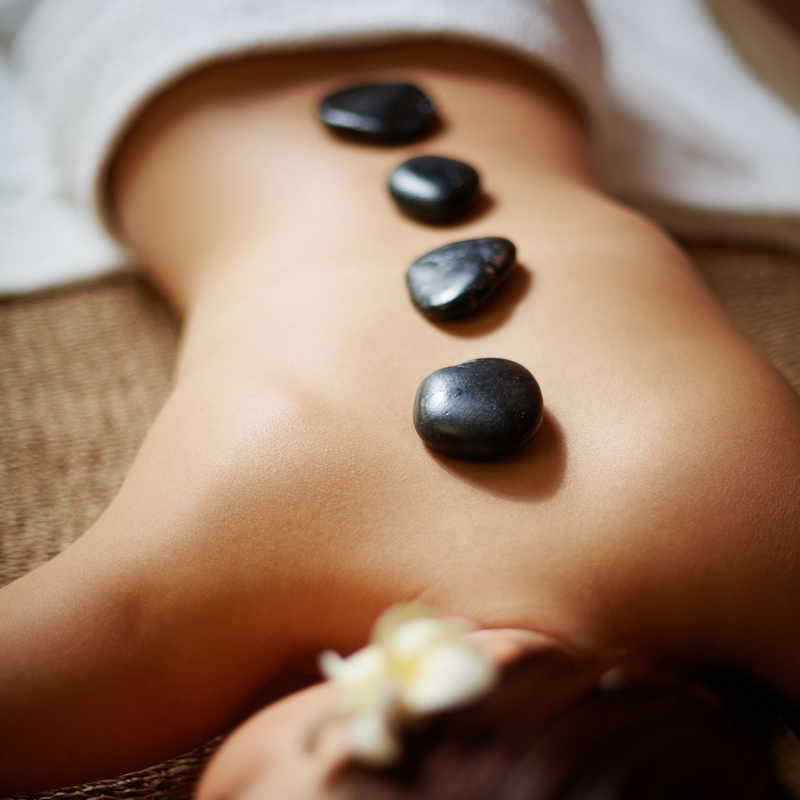 The Hot Stone session features the placement of smooth, water-heated stones at certain points on the body to allow for deeper relaxation of the muscles. 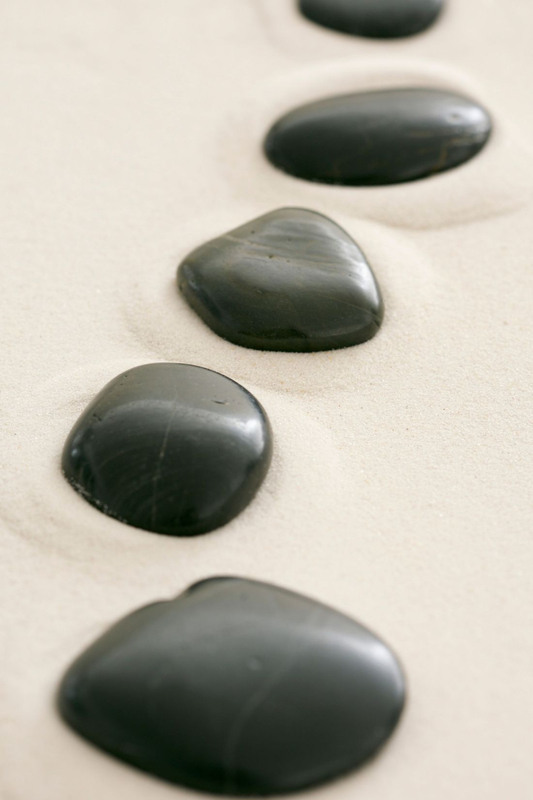 You will receive a customized massage, with the use of hot stones, to create a healing and relaxing experience. Reflexology is an ancient practice in Chinese medicine. Reflexology is a gentle form of therapeutic treatment (consists of massaging and squeezing on parts of the feet) with the principal that there are reflex areas in the feet that correspond to all body systems and organs. Change can be brought about throughout the entire body by stimulating those reflex points. It relieves stress and tension, improves blood supply and assists the body to heal itself. Your session will begin with a relaxing foot soak. Take reflexology to another level! This treatment combines reflexology with hot stones & hot towels for a warm treat. Your session will begin with a calming foot soak. -Add on a Foot or Hand Treatment for extra special relaxation! -Own a business? Have a stressful job? I can come out to your work place and give chair massages! Just the right thing to get everyone in a great mood! -Have an event coming up? I would love to be a part of it and offer chair massage! Your guests can relax! for the hands or the feet. Chair massage counters the circulatory problems inherent with office work—and provides an appreciated break for employees. Sitting in a massage chair opens up the back muscles, relieves strain on the neck and provides a gentle respite for eyes usually glued to a computer monitor. Even 10 minutes of massage to the neck, back, arms and hands can increase circulation, return energy levels and help keep the body injury free. A chair massage session takes place at your office. Each session is done fully clothed with no lotions or oils so you and your employees can go right back to work! Your employees will be grateful and more productive! Make your event perfect by offering chair massages for your guests. We will bring all the necessary supplies to relax your guests, you just provide the space. Each session is done fully clothed with no lotions or oils so your guests can relax without messing up their clothes or hair. Massage usually includes the neck, back, arms and hands. Chair massage is great for wedding receptions, parties, girls night in, or any other gathering.